The Dallas Stars announced today that Texas Stars general manager Scott White will be adding a new position to his business card this coming season, Director of Hockey Operations. He will retain his position as Texas Stars general manager. With the new role, White will also be leaving Cedar Park and moving to the Dallas Stars' Frisco offices. White has been with the Dallas Stars organization since the 2005-06 season, when he started with the org as the Iowa Stars GM. I talked to White at length about his time in the ECHL and the Dallas organization in this feature article from earlier this season. He has spent all four years of Texas's existence as its general manager. For the Texas Stars, the move is a positive one in a few ways. First of all, it brings the good work that the team is doing down in Cedar Park into even finer focus for those in Dallas. Second, it allows White to have a closer relationship with those potentially holding the purse strings. White and I have discussed for several years the need for NHL clubs to pay for a few of those top level players in the AHL (like Travis Morin in Texas or Garrett Stafford in OKC, for example). If White is there everyday, he can better advocate for those players and their importance to the team. Overall, this move implies that Dallas GM Jim Nill is placing a very high value on minor league player development. The Stars are not the first organization to have a setup like this. Most of those organizations only have the general manager and no assistant in the AHL city. It remains to be seen if Dallas could be hiring an assistant general manager for the Texas Stars or if the organization will continue with just White at the helm. Dallas Stars General Manager Jim Nill announced a series of changes to the structure of the team's Hockey Operations Department today. 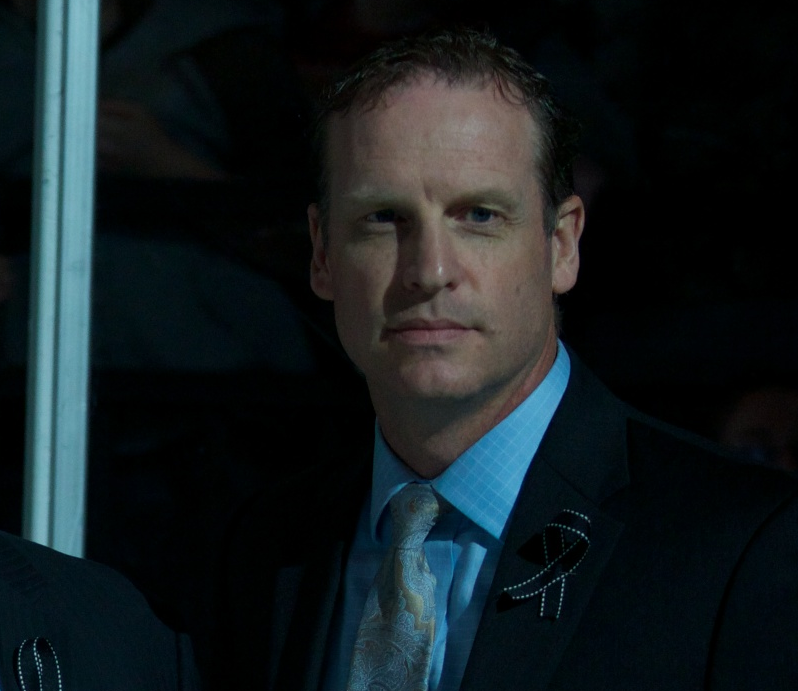 Scott White will join Dallas as director of hockey operations and will also retain his role as general manager of the Texas Stars, Dallas' development affiliate in the American Hockey League (AHL). Les Jackson, assistant general manager, and Mark Janko, director of hockey administration, remain with the organization in their respective roles. The club also announced that they will not renew Frank Provenzano's contract. Provenzano previously served as the club's assistant general manager for the past seven seasons. White has been promoted to director of hockey operations and is retaining his role as general manager of the Texas Stars after serving in that role since 2008. He was instrumental in building the Texas Stars 2009-10 inaugural team, which made a run to the 2010 Calder Cup Finals. A member of the Dallas Stars organization since 2005, White previously served as a professional scout and director of minor league operations. He headed up the hockey department for the Iowa Stars, Dallas' then-primary affiliate, for three seasons. Prior to joining the Stars organization, he served as head coach of the Columbia Inferno of the ECHL for four seasons, qualifying for a playoff berth each year. He also guided Columbia to a Kelly Cup Finals appearance in 2003 and finished with a 165-87-36 record (.635) in over four seasons with the Inferno. Jackson just completed his 25th season with the Stars, dating back to the club's days in Minnesota. His role consists of managing and overseeing the club's scouting program, as well as monitoring the development of all amateur and professional prospects. He is widely respected as one of the best talent evaluators in hockey, having helped build the Stars into the consistently competitive hockey club that it has become over the last two decades. During Jackson's tenure, the Stars have drafted future NHL stars such as Mike Modano, Derian Hatcher, Jere Lehtinen, Jarome Iginla, Marty Turco, Brenden Morrow, Jamie Benn, and Loui Eriksson, among others. Janko is in his 14th year with the Stars and his fifth in hockey operations. Prior to joining Hockey Operations, Janko spent eight seasons in the Stars Public Relations Department, most recently as its director from 2005-2008. Now as director of hockey administration, Janko assists the Hockey Operations Department in the areas of player development, cap management, contract negotiations and research, salary arbitration, and strategic planning. He also works closely with Dallas' scouting staff, with an emphasis on the professional level and serves as the team's liaison for all player transactions with NHL's Central Registry.